Cataracts are a major cause of vision loss worldwide; almost 20 million people are blind because of the condition. However, advanced cataract surgery can restore lost sight in most cases. In the United States, more than 24 million people over the age of 40 are affected by cataracts. Cataract surgery is the most commonly performed procedure by ophthalmologists, with more than 3.6 million cataract surgeries performed annually. 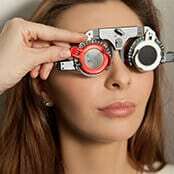 At Advanced Sight Center in Washington, Creve Coeur, and Bridgeton, Missouri, Drs. Howard Short and Chris Ullrich specialize in cataract surgery. As board-certified ophthalmologists with over five decades of combined experience, they have performed more than 30,000 successful cataract surgeries. Our eye doctors have always been at the forefront of cataract surgery. Drs. Short and Ullrich offer the revolutionary laser-assisted cataract surgery. Learn more about cataracts and cataract surgery below. A cataract is the clouding of a transparent part of your eye called the lens. A normally clear lens focuses light onto the retina, which is located in the back of the eye. When the lens becomes cloudy and opaque, light cannot pass through to the retina, resulting in blurry or cloudy vision. The aging process is most directly associated with cataracts. As the body ages, the normally transparent lens begins to harden and becomes cloudy. There is increasing evidence that lifelong exposure to ultraviolet light contributes to the formation of cataracts. 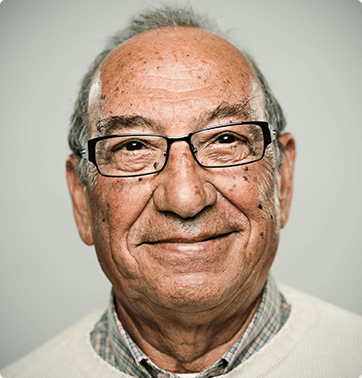 Over half of all people aged 65 or older have some degree of cataract development. In addition, eye injuries, certain medications, diabetes, kidney disease, smoking, and high blood pressure may contribute to the formation of cataracts. Since there is presently no medical treatment to prevent cataracts or reverse them once they develop, the only treatment for cataracts is to surgically remove them. Today’s cataract surgery is a marvel of medical technology. The most innovative, modern method available today is bladeless laser cataract surgery using the LenSx® femtosecond laser. The computer-controlled laser allows Dr. Short and Dr. Ullrich to plan and perform your surgery to exact individualized specifications – a level of precision not attainable with traditional cataract surgery methods. This state-of-the-art procedure is safe, effective, and virtually painless. Using the bladeless laser, our cataract surgeons gently remove your cloudy lens through a circular incision and an intraocular lens is then carefully implanted to restore your vision. The laser emulsifies the cataract for easier removal and allows our ophthalmologists to use a lower level of ultrasound energy to remove the cataract, which reduces the risk of thermal injury to tissues inside the eye. Computer-assisted laser cataract surgery also enables the surgeon to more accurately place the intraocular lens implant, which improves visual outcomes. Cataract surgery is quick and effective and offers a rapid recovery time. In most cases, patients are able to return to work and their normal activities the next day. Our cataract surgeons perform laser-assisted cataract surgery at a fully licensed ambulatory surgical center that is located in Creve Coeur. An additional fully licensed and nationally accredited ambulatory surgery center is located in Washington. To find out if you’re a candidate for this revolutionary procedure, make an appointment with one of our cataract surgeons in Washington, Creve Coeur, or Bridgeton, Missouri. There are always new and exciting developments being made in the field of ophthalmology, and our ophthalmologists stay on top of these innovations through continuing education and research. One such advance is today’s state-of-the-art intraocular lens implants (IOLs), which are used for cataract surgery and refractive lens exchange. The main difference between these two ophthalmic surgeries is that one is to remove cataracts and the other is to correct a refractive error. If you are diagnosed with cataracts or are considering refractive lens exchange, Dr. Short or Dr. Ullrich will recommend the best type of lens implants based on your individual vision needs. They will explain everything in simple terms and give you realistic expectations. 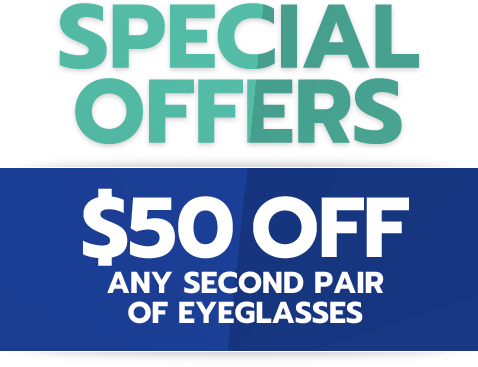 Today’s premium IOLs can provide you with clear vision at all distances and reduce or even eliminate your need to wear glasses or contact lenses. To learn more about the innovative lens implants we offer in Washington, Creve Coeur, or Bridgeton, Missouri, call Advanced Sight Center today. The newest TECNIS intraocular lens (IOL) is an excellent choice for those with cataracts and presbyopia, or age-related farsightedness, a condition in which nearby objects become blurry. Approved by the FDA in July 2016, this lens is the first and only extended range of vision IOL to provide vision correction across multiple distances. This means that you won’t have to wear reading glasses or contacts after cataract surgery. Another version of the lens, the TECNIS Symfony Toric IOL, corrects astigmatism as well. This IOL is used to treat cataracts as well as provide additional vision correction for near- and farsighted patients. According to studies, nearly 9 out of 10 people who use the TECNIS Multifocal IOLs do not need to wear eyeglasses after cataract surgery. If you or someone you know has cataracts, know you are not alone as millions of others around the world suffer from vision loss due to cataracts. During cataract surgery, the TECNIS Toric Intraocular Lens replaces the cloudy natural lens. This type of IOL lens helps people with astigmatism, and allows light to enter the eye, helping you to see clearer, improving your vision overall. This lens implant can provide patients with two key benefits simultaneously: It can restore single-distance vision after a cataract is removed, plus reduce or eliminate astigmatism (blurry vision). AcrySof toric implants are the most widely used in the world; to date over 25 million have been placed. The Crystalens is the first and only FDA-approved “accommodating” lens implant. This revolutionary lens has the ability to change shape, allowing it to focus on near, intermediate, and far objects. In FDA studies, over 98% of patients who had Crystalens implants achieved vision of 20/40 or better. Don’t put your vision at risk. Early diagnosis and treatment is paramount to preserving your vision. If you are experiencing blurry vision, dimming, glare while driving at night, or double vision, call and schedule your appointment at Advanced Sight Center today, or request one online. Our ophthalmologists can see you in Washington, Creve Coeur, or Bridgeton, Missouri. Learn about common eye conditions and treatments in our interactive patient education center. Copyright © Advanced Sight Center. All Rights Reserved. Advanced Sight Center offers comprehensive and leading-edge eye care to residents in St. Louis-area, MO. We have offices in Washington, Creve Coeur, and Bridgeton, Missouri. Our doctors including board-certified ophthalmologists and an optometrist are committed to providing you the highest quality services. At Advanced Sight Center, we offer specialized care for conditions such as cataracts, glaucoma, diabetic eye care, macular degeneration, and corneal disorders. Our highly qualified eye doctors also offer cataract surgery, LASIK and other refractive surgery.